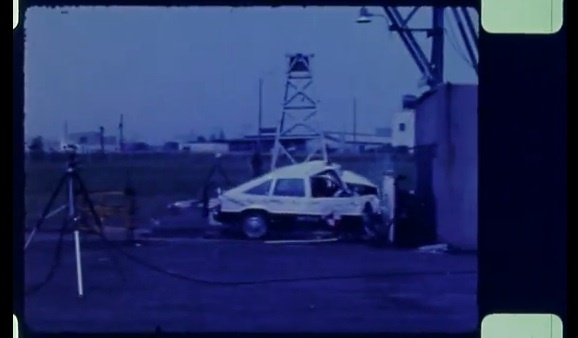 This (more than) 30 year-old video presents the safety trials of a 1980 Chevy Citation hatch. It still stings (a bit) to see a new (at the time) vehicle get crushed to pieces, but it can sometimes be healthy to observe how far the modern automobile has come in terms of safety. After all, the Citation in this video precedes airbags, high-strength steel, and a plethora of other safety features that are standard in nearly all vehicles today. Alex, I think you are totally right about all of the recommendations. It will be nice to see this car finally make its way to the Alpha platform. If only they (Chevy) made a large compact to midsize 4 door turbo 4/V6 RWD stick sedan to be more affordable than the upcoming Caddy. Would be perfect for people like me who don’t quite want the attention and impracticality of a 2 door V8 beast (And who also can’t afford a Caddy), but also want to have fun once in a while in a sensible yet proper package. I’ll have to keep out of the market until something like that finally surfaces for under 30k. Oops, the above was meant for the Camaro video review. For this one, might I recommend posting a video of the Cruze crash test here as well? Got to love the GM Flat panel Dashboard. Years before TV designers thought of it…..
Not much of a performance, was it?